Atlanta Personal Injury Attorneys | Goldstein & Hayes, P.C. At Goldstein & Hayes, P.C., we're known for our personal and professional commitment to making our clients' lives better. Our Atlanta personal injury attorneys work tirelessly to hold negligent parties accountable for your injuries. It is our goal to help eliminate the financial strain on you and your family so you can focus on what matters: getting back to normal life. As a small law firm, we never compromise quality over quantity – we specifically limit our case docket so you can receive our undivided attention. We have one of the best track records in Georgia, demonstrating our ability to deliver results for the individuals who need it most. No matter what your case involves, we stand by your side every step of the way to help you overcome the legal, financial, emotional, and medical aftermath of your accident. Schedule a Free, No-Obligation Consultation. If you have been injured, or if a loved one has been involved in an accident, you deserve to work with a firm that values your rights and interests as the highest priority. Our firm has a hard-earned reputation for providing exceptional legal advocacy and superior client service. As a top-rated law firm in the Atlanta, Georgia area, we are fully equipped and prepared to pursue justice for you. Additionally, you won't even have to pay unless we win for you. What It Means to Work with Goldstein & Hayes, P.C. Our personal injury lawyers are dedicated to providing you with the personal attention you deserve. We apply our 60 years of combined legal experience to make sure each and every case is meticulously prepared for trial. We are so confident in our success rate, we won’t we charge you any fees unless we win on your behalf--our knowledge, skill, and determination will be your greatest allies during this time. No one ever expects to be involved in an accident, let alone be the victim in one. We completely understand how uncertain, overwhelmed, or frightened you may be feeling immediately following a serious accident or injury. This, along with many other reasons, is why we believe in serving you from the moment of our initial consultation all the way to the final resolution of your case. Our Atlanta personal injury attorneys are nationally recognized for providing exceptional service and obtaining outstanding results. Our boutique setting ensures our clients receive small firm care – all with the advocacy, skill, and experience of a large firm. And because we care about cost-effective resolutions, you won't even have to worry about paying us unless we win on your behalf. This is the type of effort and counsel our clients deserve. The team at Goldstein & Hayes, P.C. has more than 60 years of combined experience and proudly represents victims and their families throughout Atlanta and surrounding areas in Georgia. Our first priority: to create lasting client-attorney relationships built on mutual trust, confidence, and communication. If you have sustained injuries due to no fault of your own, look no further than our personal injury lawyers of Goldstein & Hayes, P.C. We know just how debilitating an injury can be to all aspects of your life, which is why we will work tirelessly to obtain the compensation you deserve for medical bills, loss of work, and pain and suffering. We are honored to advocate for our clients and will continue to uphold our high standards of practice thanks to our unparalleled work ethic, determination, and commitment to justice. "Martindale-Hubbell® Peer Review Ratings™, the gold standard in attorney ratings, have recognized lawyers for their strong legal ability and high ethical standards for more than a century." "Super Lawyers provides lawyer ratings of selected lawyers and helps you find the rated lawyer / attorneys in your location focused on all legal issues." "The Million Dollar Advocates Forum is the most prestigous group of trial lawyers in the United States. Membership is limited to trial lawyers who have received million and multi-million dollar verdicts and settlements."  "The National Trial Lawyers: Top 100 is an invitation-only organization composed of the premier trial lawyers from each state or region who meet stringent qualifications as civil plaintiff and/or criminal defense trial lawyers." by Way of Verdict and Settlement. Apr 12, 2019 What Treatment Exists for Severe Burn Injuries? Apr 03, 2019 What are the Different Types of Burn Injuries? Mar 12, 2019 How Are Spinal Cord Injuries Classified?